Massage therapy is not a cure for migraine, but promising research shows that it can be a beneficial complementary therapy for those experiencing this disabling condition. There has been a small number of significant research projects (high-level clinical trials), proving that massage can benefit those with migraines by reducing the number of migraines and relieving the pain. The added benefit of massage is that it is a nonpharmacological treatment that may give holistic benefits on a number of levels. Regular massage therapy can assist in decreasing stress levels, including blood pressure, heart rate, and cortisol levels, which in turn also helps to decrease anxiety. Massage therapy can also increase serotonin levels – thought to decrease sensitivity to pain, and help improve sleep, helping stress levels and the ability to cope with daily life situations. Migraine is a distressing disorder that is often triggered by poor sleep and stress. Migraine is a neurological disease where the individual suffers from recurrent moderate to severe headaches, along with several autonomic nervous system symptoms. Typically, the disorder affects one side of the head – hence the Greek derivative ‘hemikrania’, translating as “pain on one side of the head”. The pain is pulsating in nature, lasting anywhere from two to 72 hours. Usually, the pain is made worse by physical activity, and symptoms include vomiting, nausea, and sensitivity to smell, light or sound. Approximately up to one-third of migraine sufferers perceive an ‘aura’: a temporary sensory or visual sensation that signals to the individual that a migraine will soon be arriving. Sometimes individuals may experience such an aura without experiencing a full blown attack. Why do people get a migraine? 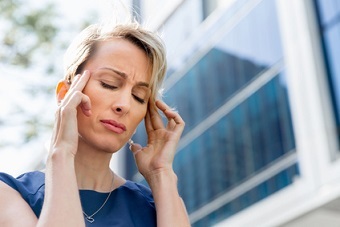 Currently, it is believed that migraine is due to a mixture of genetic and environmental factors. In fact, approximately two-thirds of cases run in families. Hormones are also thought to be a contributing factor, with migraines affecting boys a little more than girls before puberty, and then women suffering migraine about two to three times more than men. Scientists are still not clear what the mechanisms of migraine are; however, it’s believed to be a neurovascular disorder, and it’s thought that increased excitability of the cerebral cortex and abnormal controller pain neurons from the brainstem are the cause. Usually, individuals are given basic pain medications such as anti-inflammatories and paracetamol, along with medication for nausea. They are also taught to examine lifestyle factors to manage the condition and avoid triggers. It is also suggested that sufferers review their sleeping habits, eat well and ensure that they manage their stress levels – including doing things that allow the mind and body to relax every day. This is why complementary treatment such as massage can be so useful. 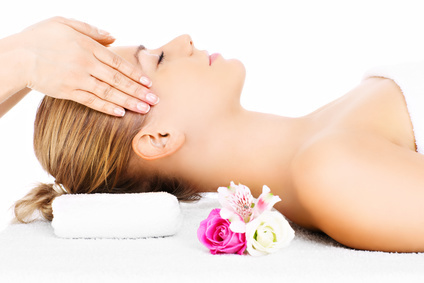 Depending on the severity of the migraine, a massage therapist may use a variety of different techniques, such as reflexology, using pressure and massage on the soles of the feet, relaxation massage for stress relief and craniosacral therapy which is gentle massage focused on the skull and scalp. Depending on the individual’s pathology, trigger point therapy or deep tissue massage may be used to relieve tension, pain and stress in certain muscles. Because deep tissue massage works well on tense shoulders and necks, it can sometimes have great results in relieving migraine symptoms. Individuals suffering the above conditions should consult with their health practitioner. Depending on the pathology, it may be possible to receive massage therapy. However, medical clearance should be given first.